Fris yoghurt ijs met bosvruchten, bosvruchten saus en slagroom. Big golden lamps hang in this modern and light space as proud suns. Their counterpart is the robust grey brick wall behind the bar. 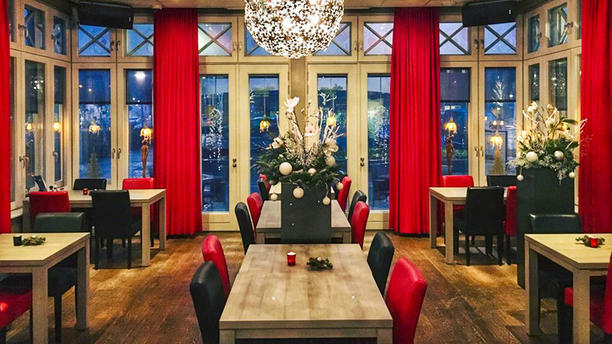 The relaxed Brabant vibe you get here meets a lovely French menu- the best of two worlds! With the Bij Ons unlimited concept you can taste 35 various dishes for a vast amount. Sunny outside? They also have a great terrace. ........en tevreden keerden we huiswaarts.